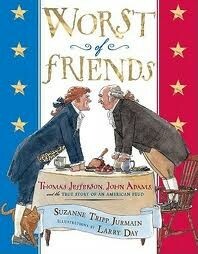 Thomas Jefferson the leader of the Democrat-Republicans, and John Adamsthe leader of the Federalist are candidates for president who will win. Adams will win v.s. Thomas . We nead Honesty and someone who is fair. Adams will give us a strong militar, a strong National bank !